Juniors Stroller Activity Spiral | It has to be pulled for wiggling and can be rotated up to 360 degrees. 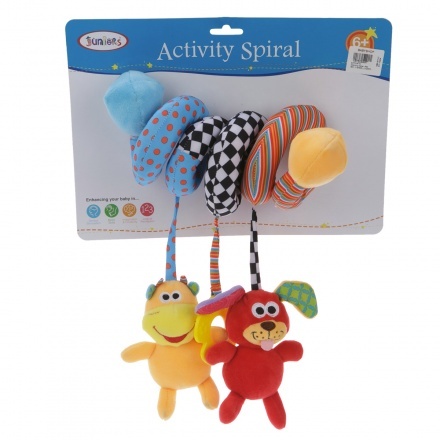 Designed to keep your little one entertained on his evening strolls, this activity spiral is an ideal pick. 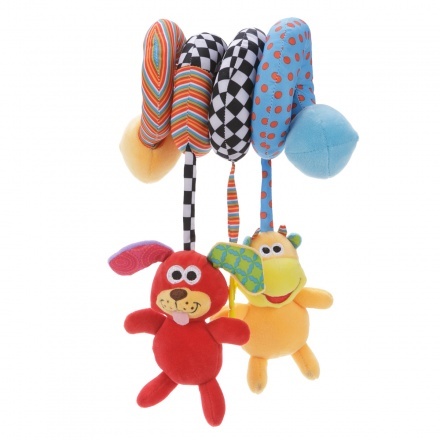 Featuring a splendid shape, it can be attached to the stroller and removed easily. 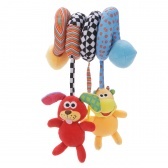 The dangling toys and teether makes it an ideal pick.